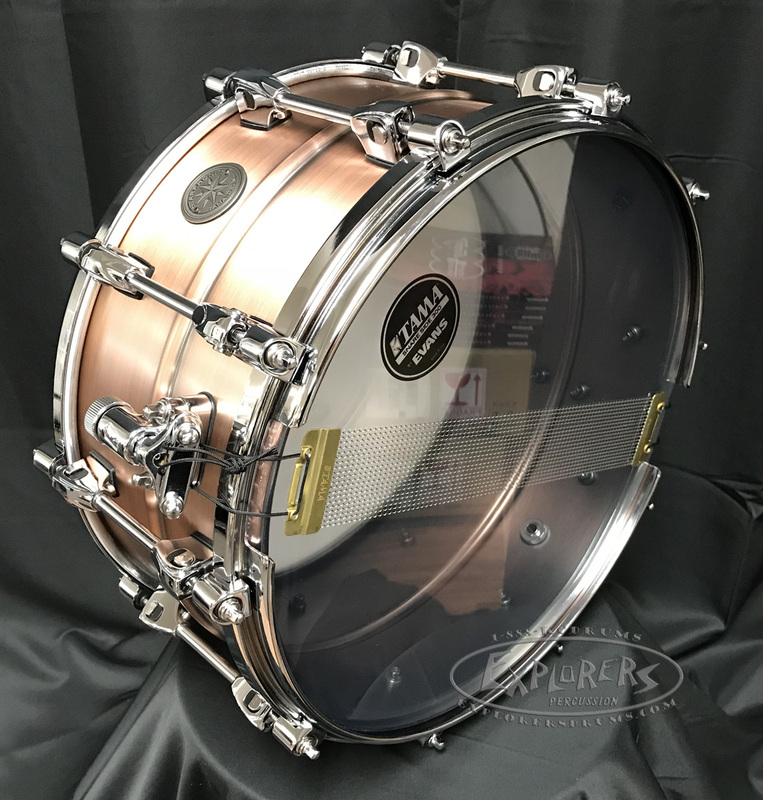 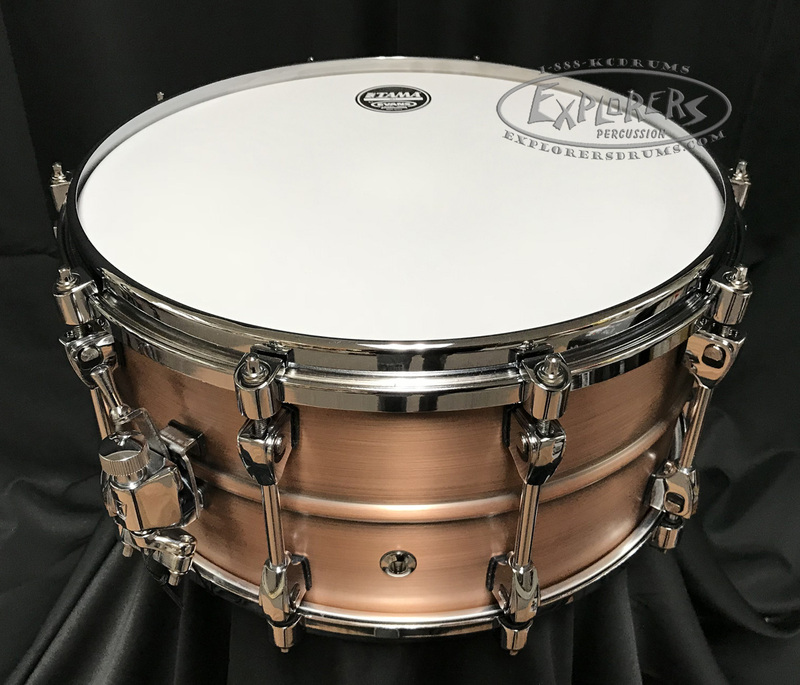 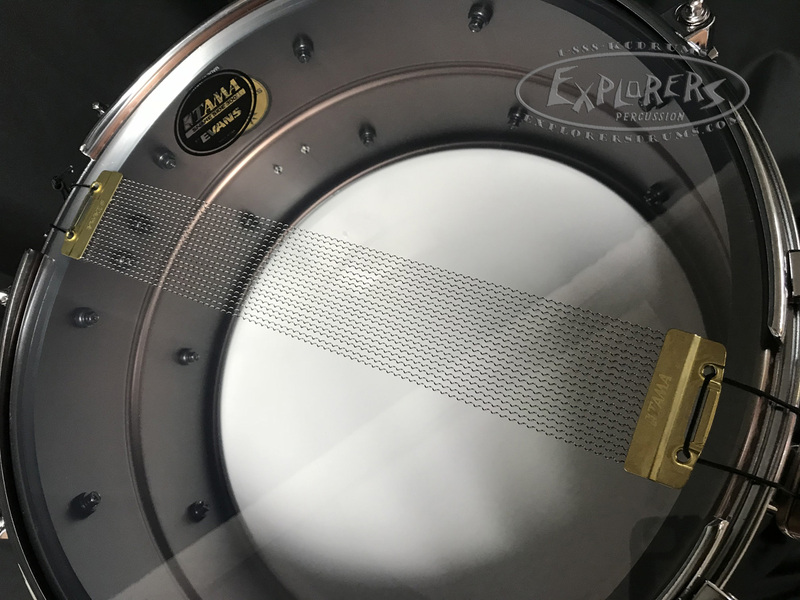 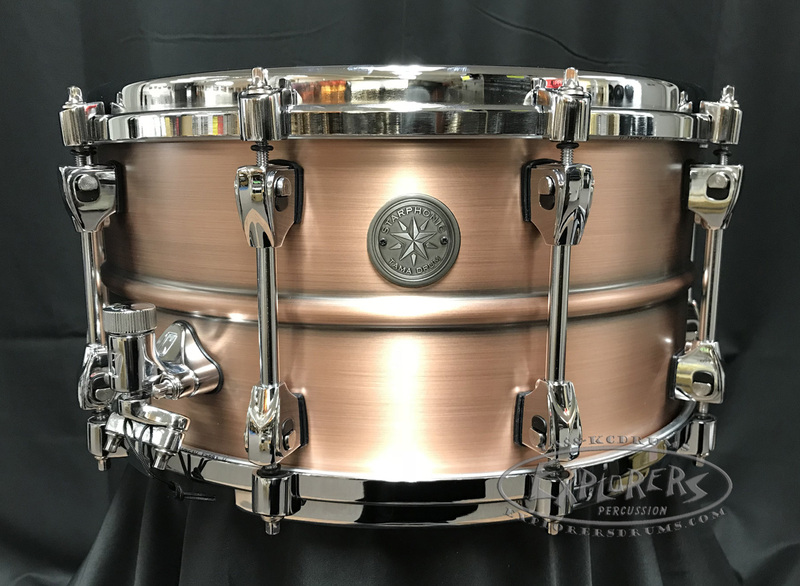 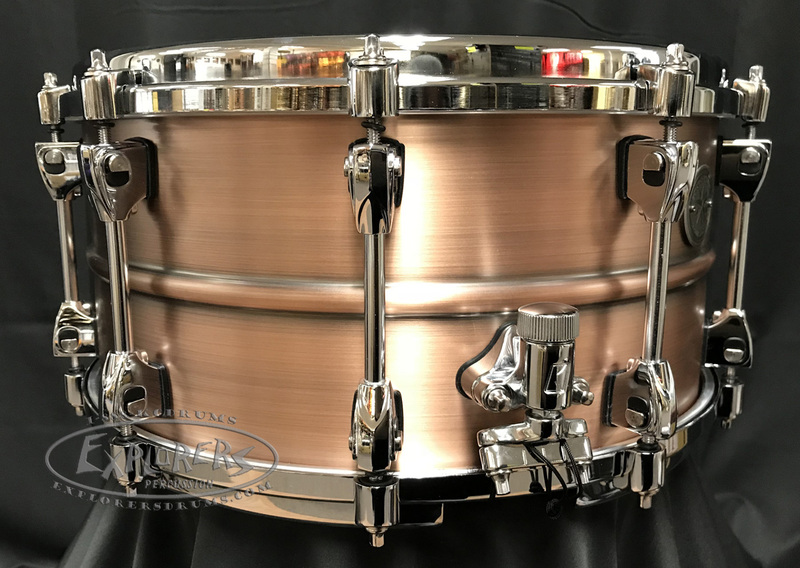 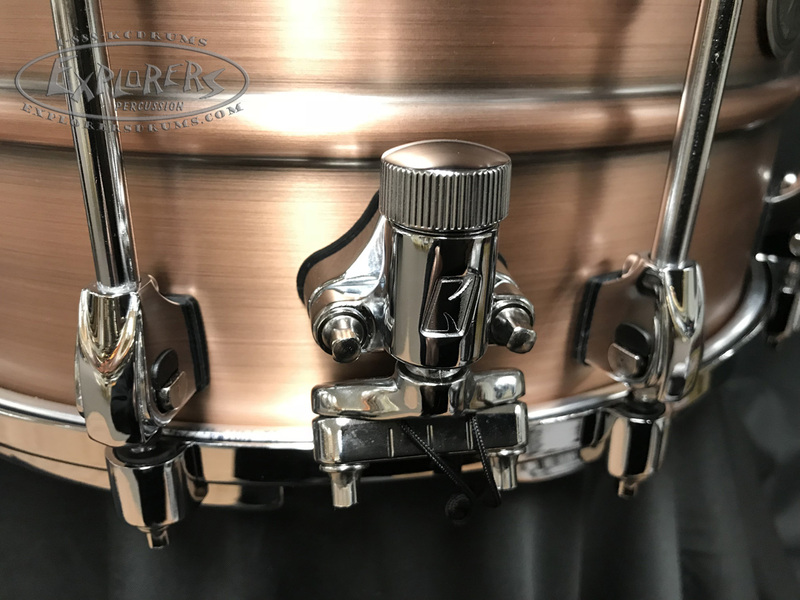 The Starphonic 7x14 Copper snare drum features a 1.2mm copper shell, providing the dark, dry tones expected from a copper shell. 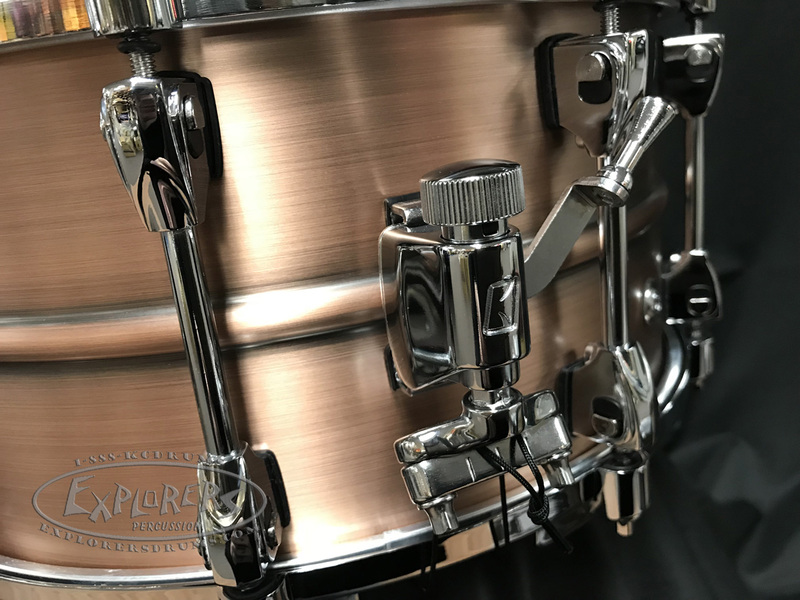 The grooved hoops add just the right amountof attack and presence, while the Super Sensitive Hi-Carbon snare wires and Evans G1 Coated heads boost sensitivity and responsiveness. 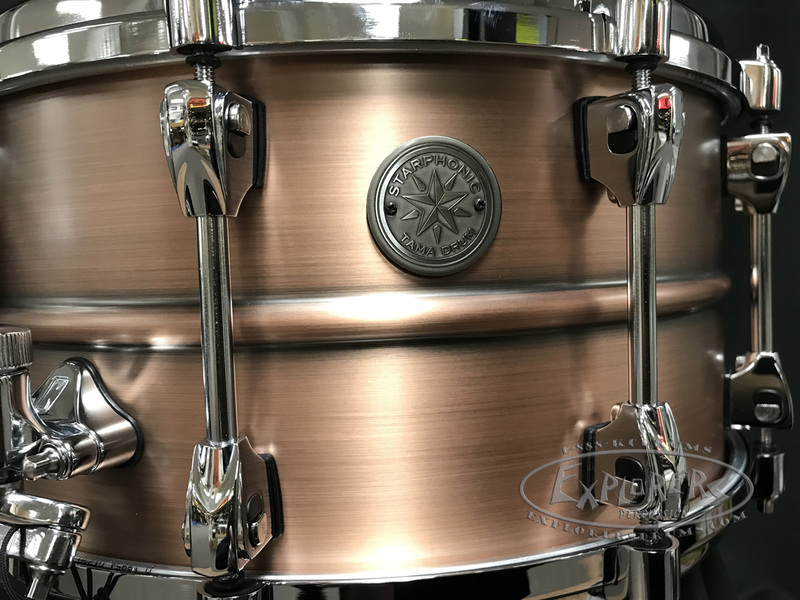 The Copper shell combined with the Satin Brushed finish, gives the snare drum a clean, modern look.